More than two years ago, I learned that the Imperial War Museum still had the original interview rushes of The Great War series from 1964, which the BBC had produced in partnership with IWM. I was intrigued. 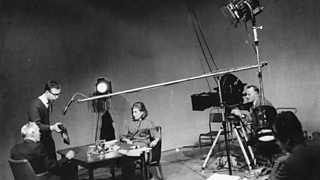 Having worked on a few similar history series myself – such as Laurence Rees’s The Nazis or Auschwitz – I knew that only a tiny fraction of the recorded interviews would have made it to air. I reckoned many strong and insightful testimonies must have ended on the cutting room floor because they didn’t fit into the series’ narrative or because they were simply too long. IWM had digital audio files of the interviews and I went through all 280 recordings (more than 50 hours) looking for testimonies about the human experience of the war. I didn’t want to make I Was There: The Great War Interviews about the military or political history of the war. I wanted to make a film about individual responses to extreme situations. As I went through the recordings, it became clear that the people researcher and director of most of the interviews, Julia Cave, had done an amazing job. This was the stiff upper lip Britain of fifty years ago but the veterans opened up to Julia about the horror, the tedium, and sometimes also the humour of what it was like being there. They even told Julia what it was like to kill a man! Since The Great War series concentrated much more on the big picture and grand strategies of the war, the majority of these emotional testimonies were never broadcast. I grouped the selected interviews thematically, following the timeline of a soldier’s experience, from enlistment to death or survival. There was to be no presenter and no narration, just music by composer Dominic de Grande and captions to introduce each thematic block. I wanted the interviews to tell their own story. The greatest challenge was to find the film material for the pieces of dialogue I had selected. The Great War series was produced on 35mm film using blown up footage from selected original interviews shot on 16mm film. As a result, each interview was spread over several reels. To make things even more challenging, I had to synchronise the picture with the sound from the digital audio files. This proved a major and often tedious undertaking as picture and sound drifted apart considerably. I got pretty good at lip reading and it certainly helped that in a previous life I had earned a living as a dubbing writer for German versions of American TV series such as The Lone Ranger and Quincy. Oral history can be tricky. Just because somebody was there it doesn’t mean their story is true. We had thorough fact checks done and sure enough, some of the interviews proved just too good to be true. One interviewee described in vivid detail an Anglo-German football match in no man’s land during the famous Christmas truce of 1914. He turned out to be a fantasist. Another interviewee, Henry Williamson, the author of Tarka The Otter, gave a different account. In the 1930s and 40s, he sympathised with the Nazis and joined Oswald Mosley’s British Union of Fascists. I wondered to what extent this could have coloured his recollections of the truce. Research showed that he written a letter home immediately after the event. The description in his letter matched the account that he gave 50 years later in his interview to the BBC. Executive producer Mike Connolly and I were keen to make the archive feel more current as the interviews as well as all film and most stills archive from the period are black and white. Artist Jon Wilkinson, who specialises in colourising archive photographs, provided extremely realistic and subtle colourisations that not only add depth to the images but also make the people feel less remote and much closer to us. My ambition was to help restore the humanity of the Great War generation. I hope viewers will see that these were recognisably modern people, recorded within touching distance of both the experiences that shaped them and our lives today - not distant figures moving jerkily in newsreels. Detlef Siebert directed and edited I Was There: The Great War Interviews. I Was There: The Great War Interviews is on Friday, 14 March at 9pm on BBC Two and BBC Two HD.